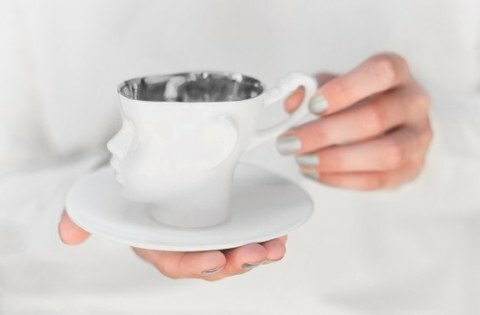 Inspiration for the design of this mug came from porcelain doll manufacturer in Poland. 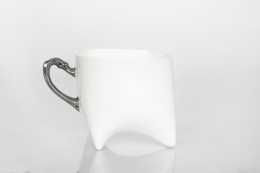 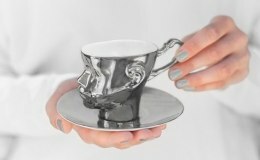 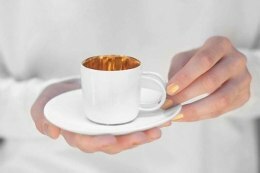 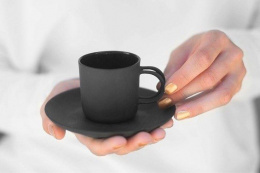 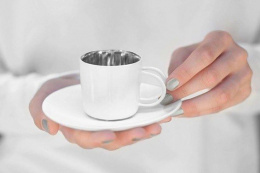 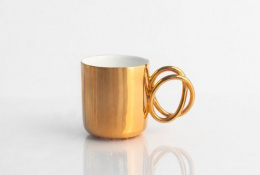 These cups are perfect for espresso and would make the perfect gift for a friend. 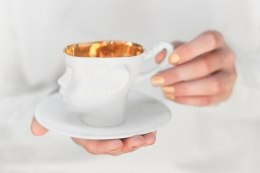 Materials: Made of best quality English porcelain Bone China. 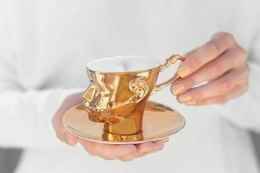 Cup is painted with 12% gold and then fixed in high temperature, so it is safe to use. 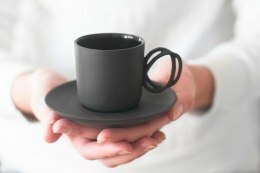 Safe to everyday use for coffee and tea.